From Andrea Lochen, award-winning author of The Repeat Year, comes an enchanting tale about family, love, and the courage it takes to face your demons and start over again. Burned-out and completely broke, twenty-two-year-old single mother Anna Jennings moves to her grandparents’ rural Wisconsin home for the summer—her four-year-old, David, in tow. Returning to Salsburg reminds Anna of simpler times—fireflies, picnics, Neapolitan ice cream—long before she met her unstable ex and everything changed. But the sudden appearance of shadowy dinosaurs awakens Anna from this small-town spell, and forces her to believe she has either lost her mind or can somehow see her son’s active imagination. Frightened, Anna struggles to learn the rules of this bizarre phenomenon, but what she uncovers along the way is completely unexpected: revelations about what her son’s imaginary friends truly represent and hidden secrets about her own childhood. 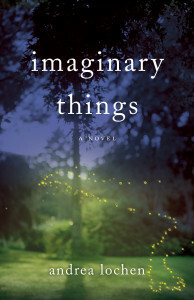 Andrea Lochen is the author of two novels, IMAGINARY THINGS and THE REPEAT YEAR. 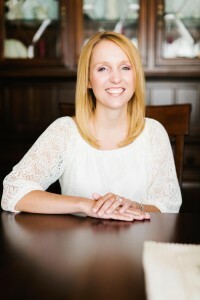 She earned her Master of Fine Arts in Creative Writing from the University of Michigan. She teaches at the University of Wisconsin-Waukesha and lives in Madison with her husband and daughter. When the publicist from Astor + Blue contacted me about reviewing this novel, I was intrigued by the description, and immediately squeezed it into my schedule. I’m really glad I did, because this book is the perfect blend of straight up contemporary fiction and magical realism. In Anna, author Andrea Lochen has given us a young woman who could be any young woman: a single mother who’s lost her most recent job and has had to slink back home to the grandparents who have always been the most stable influence in her life, in the tiny town where she was sent every time her own mother grew too bored/busy/distracted to be a parent herself. As a daughter/granddaughter, Anna is still very much unfinished. She’s still at the point where she defines herself through her relationships with others, rather than having a truly mature self-identity. As a mother, Anna is fierce, protective, and loving, but also a bit permissive, partly as a reaction to her own upbringing. While the Imaginary Things of the book’s title and description spring from Anna’s son David’s imagination, they are really there to serve as a sort of Greek chorus for Anna herself. It is through them that she learns to be stronger, more responsible, more open to love, and a better parent. This novel isn’t about the destination, as much as it’s about the journey, and Anna’s companions on this journey include her son David, from whose imagination amazing things come, her grandparents Duffy and Winston, and her childhood friend (and so much more) Jamie, as well as the darker presence of David’s father, who is mentally unstable. Each of them is a fully-faceted character in his or her own right, and they interact so organically that at times if feels as though Lochen has drawn her characters from life. The story is interesting and compelling, one of personal growth, maturation, the loss of innocence, and the acceptance of adulthood, but it’s never preachy, and never lectures. If you pick up this novel expecting a traditional romantic comedy or romantic drama, you will be disappointed. If, on the other hand, you want a meaty contemporary read (almost literary really) with just enough magic to keep life interesting, you will not be disappointed. 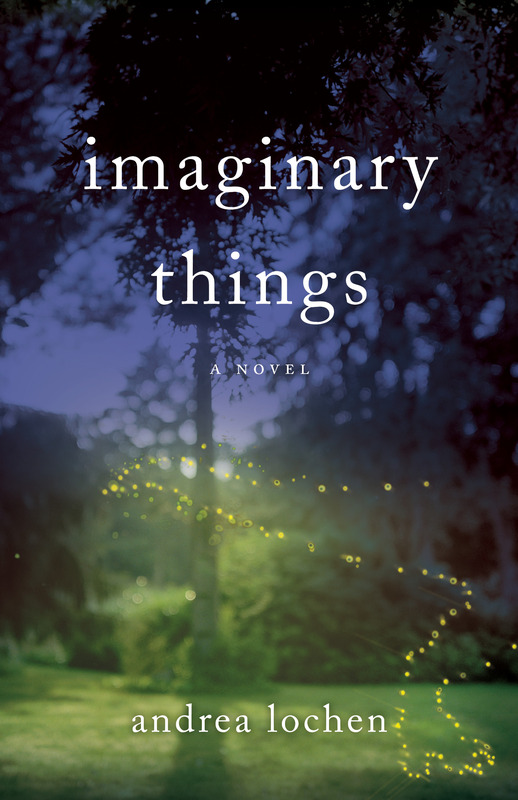 Imaginary Things is unimaginably awesome. Goes well with Grilled cheese, tomato soup, and homemade lemonade.